Steve Bruce continues unbeaten start in charge of Sheffield Wednesday. 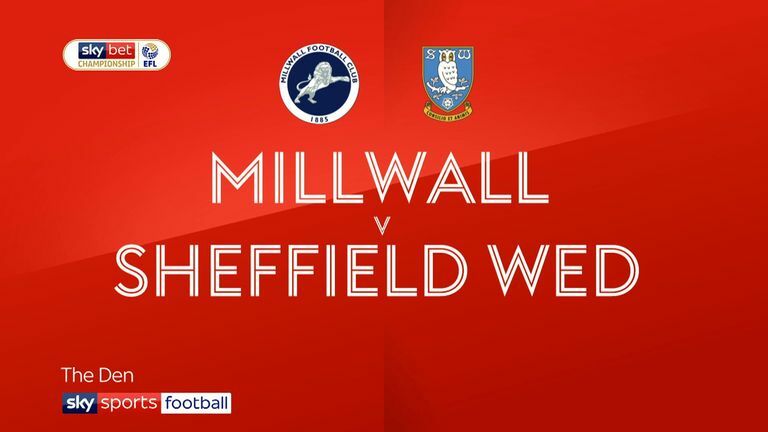 Highlights of the Sky Bet Championship match between Millwall and Sheffield Wednesday. Sheffield Wednesday continued their unbeaten start under Steve Bruce as they played out a 0-0 draw against Millwall at the Den. The home side failed to score for the third home league game in a row despite having a fairer share of the very few chances as Wednesday continued their run of not conceding under their new boss. Neil Harris' side made a bright start playing with plenty of ambition in the first 10 minutes and finding joy down the right wing where Mahlon Romeo and Jed Wallace combined well a number of times. Romeo's cross for Ben Marshall forced the excellent Michael Hector to clear off the line while another low ball in from Wallace almost produced an opportunity for Lee Gregory, before Marshall and Aiden O'Brien saw their follow-ups blocked. But then the chances dried up for the home side, who are yet to find the net at home in the Championship in 2019, and the game became a scrappy midfield battle. Wallace stung Keiren Westwood's palms with a free-kick after half an hour, and Romeo tested him from range, but clear-cut chances were hard to come by against a Wednesday side who have become a well-organised unit under Bruce. The visitors offered next to nothing going forward, failing to force Jordan Archer into any meaningful action at all before the break. 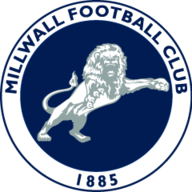 The Millwall keeper was needed just two minutes after the interval however, beating away Lucas Joao's powerful effort from the edge of the box. Archer might have been in trouble had Hector managed to hit the target from an Adam Reach cross, but the defender could only glance wide. It was the home side who continued to have the better of the play. O'Brien was twice denied by Westwood, who first saved a near post flicked header and then stood tall to push away a venomous drive following good work from Gregory. Substitute Steve Morison had a chance to win it for Millwall 10 minutes from time but fired wide when through on goal. Minutes later the veteran striker's knock-down found Marshall, only for his header to be hacked off the line by Jordan Thorniley. At the other end, Steven Fletcher fired just wide with the last kick of the game, but neither side would have merited all three points. The draw lifts Millwall five points clear of the relegation zone while Wednesday remain 16th in the Championship table. Neil Harris: "I'll focus on the positives. The first half we were outstanding and dominated the game. Jordan [Archer] kicked the ball once in 27 minutes, that's how much we dominated possession. "We got in some really good areas, in behind the full-backs and into the penalty area - we forced set-plays in and around the area. We have to do better. We've got quality players and I expect better end product. 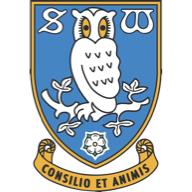 Sheffield Wednesday changed things at half-time and made it more difficult for us. But we created enough chances to win the game." Steve Bruce: "The first half left a lot to be desired. We changed the formation in the second and that helped us. The big thing to have when you come to Millwall is to have the courage to take the ball and we just got sucked into going from back to front far too early and didn't take part in the game at all in terms of trying to get a hold of the ball and trying to play. "Any team of mine is always encouraged to play and I think we got that message across in the second half. All of a sudden, we were a different animal. It was good that we got the response because if we hadn't we would have got rolled over."